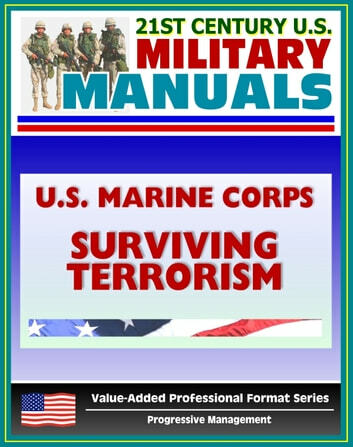 Part of our value-added professional format series of U.S. military manuals, this U.S. Marine Corps manual provides guidance to individual Marines (private through general officer) and their dependents on terrorism and its effects. 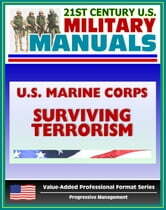 This reference publication gives an overview of terrorism, explains antiterrorism individual protective measures, and what to do if taken hostage. Contents include: protection through awareness, hard and soft targets, safeguards while driving, safeguards while walking, safeguards while flying, safeguards while staying in hotels, detecting surveillance, surveillance indicators, abnormal situations, escape, evade or confront, incident reaction, hostage survival, terrorist suicide missions, defense mechanisms, the Stockholm syndrome, establishing rapport, exploitation of hostages, vehicle bomb search, appendix personal protection guide, more.